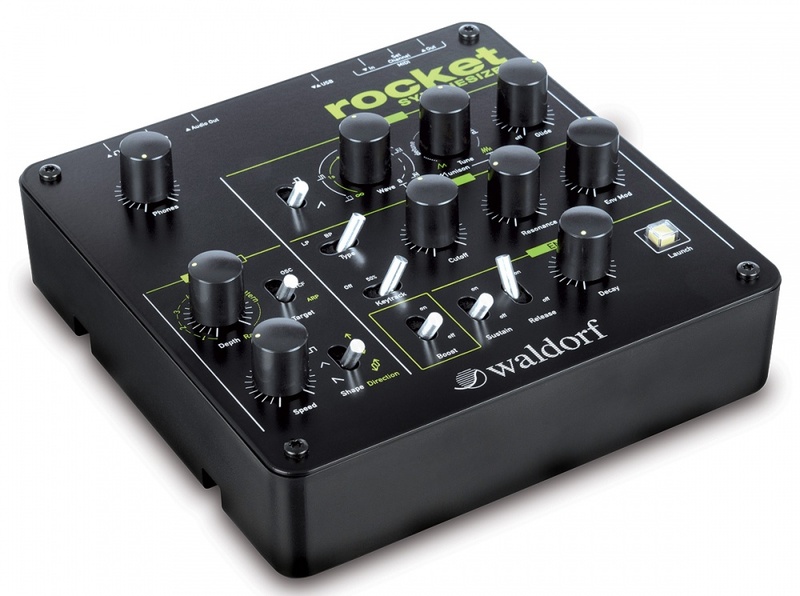 Rocket Synthesizer is a compact, rugged and affordable monophonic hardware synthesizer made by Waldorf. 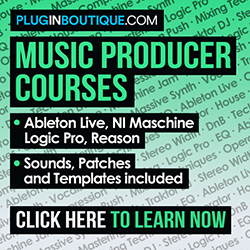 It is ideal for sound designers, musicians, producers and DJs who are interested in a great sounding machine. 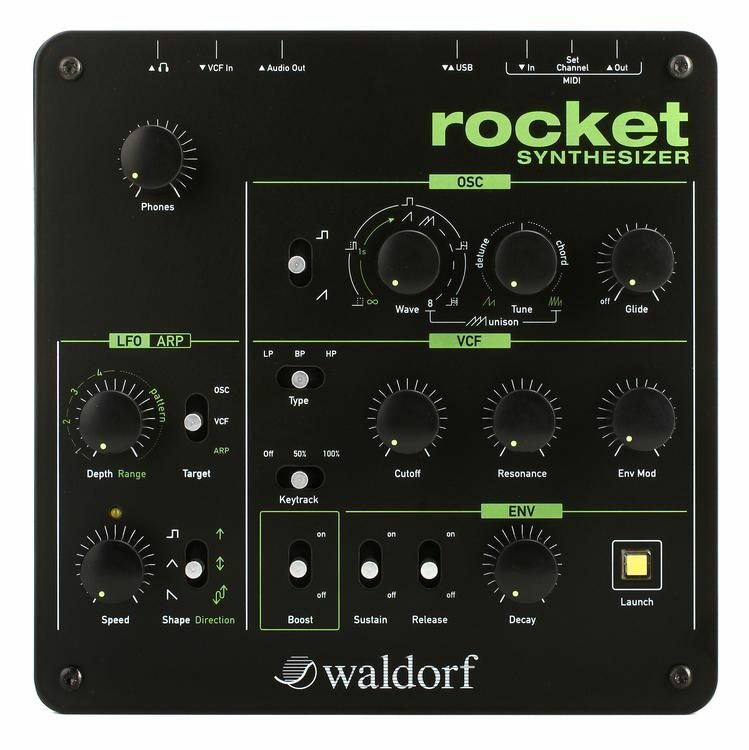 The Rocket synthesizer has an Oscillator section with two available waveforms (saw and pulse), with a Wave knob to sync the sound to external sources. The Tune knob gives the possibility to add up to eight oscillators, depending on the selected waveform. There’s also a Glide control so that the user can set the glide time for the sound. The VCF sector has three filter types (lowpass, bandpass or highpass), keytrack, cutoff, resonance and envelope modulation controls. There’s an envelope/boost section, with two available envelopes: one for filter and one for volume. The boost switch saturates the signal, adding harmonics and resulting in a warm and distorted sound. Rocket Synthesizer also is equipped with an LFO/ARP section. When LFO is activated, it’s possible to set its depth and speed, which can be in sync using MIDI clock. Three LFO waveforms are available: triangle, saw and square. When ARP is selected, then there’s a Range control to select up to 4 octaves, and a Speed knob to adjust the arpeggiator speed to either BMP or Midi clock. There’s also a Direction switch, which will set the playback direction (up, alternate or random). The rear panel has 5-pin MIDI In/Out jacks, USB port, VCF In (to connect the unit to an external filter), Audio output (mono) and also phones output. The USB port is used for both data and power. When used in standalone mode, an external power supply is needed (included). – Windows, Mac OS and Linux compatible.